Well, Nikon have finally done it. They have been talking about this in the sidelines for years, a full frame digital Nikon camera, with classic looks and handling. But is all as it seems? Unless you have been living under a rock (I respect your choice if you do), you cannot have failed to notice that Nikon has had the hype machine of full power over the last couple of weeks. What with the teaser ads and the viral marketing (letting images of the camera ‘slip’ into public view), they have had the internet in a bit of a tizz over the new offering, the Nikon DF. 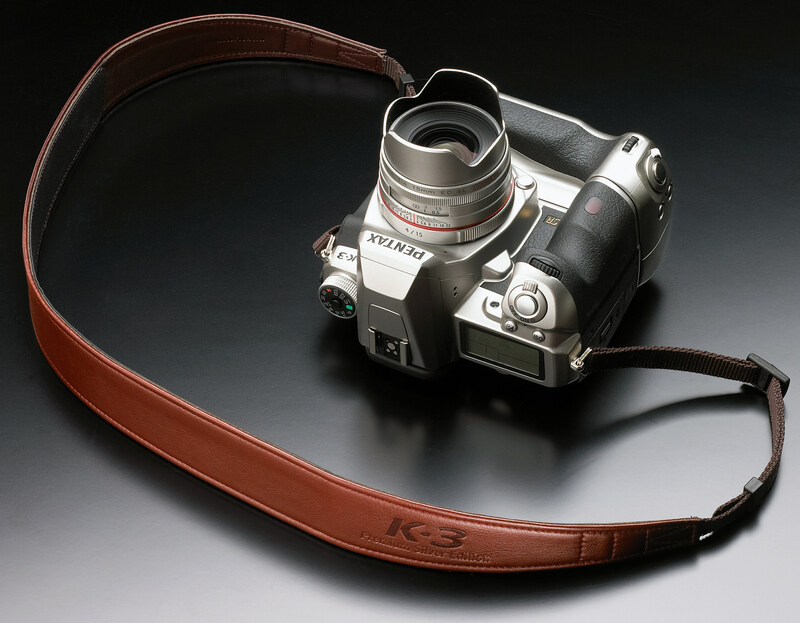 Now this is nothing new, Olympus started the trend with the pen cameras, retro styling in a modern body. And Olympus did it very well. They made a camera that was not overly expensive, that had the ease of digital and the looks of a film camera. After the success of this, everyone was on it, trying to get a bite of that retro pie. 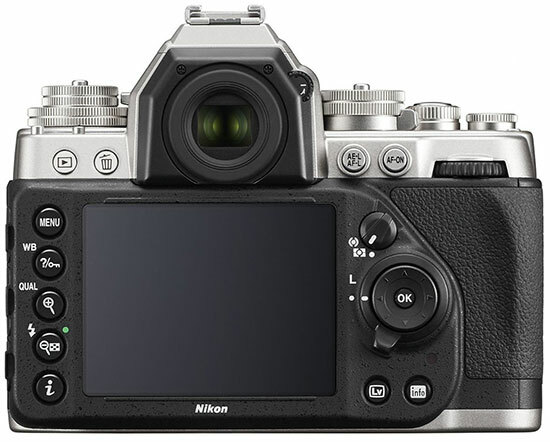 According to Nikon, the DF stands for Digital Fusion, whatever that means. Fusion of what exactly? It is supposedly based on the FM2, but with a larger prism. Though in all honesty, I don’t think it holds a candle to the FM2. This is a modern imitation. But that is what it is supposed to be after all. It actually weighs a bit more than the FM2 as well, so you know it is not going to be a lightweight beast. It has all of the tricks you would expect from a modern digital camera, but the big selling point for many is that it is full frame. There was talk a long time ago of Nikon making a FF S2 or SP, made in the same standard as the S rangefinders, but I guess that proved too costly. The dials are a nice touch, especially the ISO selector. But there are too many buttons, and that brings me to my next point. Nikon have been using the tag ‘Pure Photography’ to push this camera. And I am really not sure what to make of that. I mean, if it was pure photography they were after, surely they wouldn’t have made the back of the camera the same old generic digital back, piled up with all kinds of buttons for different modes? I would have thought that Pure Photography would mean keeping it simple, by not having a ton of features. Back to the old school if you will. Making something that is different and that forced the photographer to rely on his instincts and not the settings and dials. I posted the NikonRumors piece about this camera on my facebook page, and the ensuing comments have been very enlightening. Especially the ones about the price. This is not a cheap camera, not by any stretch. OK, it is full frame, but that should not really be an issue in this day and age. Nikon and the others produce millions (between them) of FF units every year, and realistically they should be standard by now, which would mean for lower prices. But this camera comes with a retro tax. The pricing of this camera puts it high enough that only the most dedicated are going to shell out for it. And that is my problem with the camera. The retro styling. It is a digital camera trying to be cool and old fashioned and this is the fault of the makers. Nikon et al have not done anything truly groundbreaking to the design of their digital cameras since….forever, so they all look the same, act the same and never really change. They could have really done something different with this and made it truly ‘pure’. 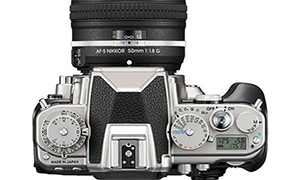 A manual only or aperture priority FF digital camera. Simple functions. Complete redesign. But they did not, as they don’t want to take the risk. To me that is the shame, as Nikon used to be ready to take a risk, and bring us completely game changing cameras. I know this is not meant to be a game changer, but it could have been something. It seems to me like this camera is a cash-in. It is like the have grabbed a D601 off the shelf and jammed it into a retro styled body. Nikon have realised there is money to be made in re-branding the classics in a digital format. So what is next? A bastardisation of the F3? Colour me unimpressed. If I want a classic Nikon I will by a classic Nikon. If I want a digital Nikon I will buy a Digital Nikon. I am not looking for an overpriced ‘fusion’ camera. What are your thoughts on this camera? Love it? Hate it? Share yours in the comments below. It’s overdone by far. Could have been really nice with less buttons and dials. Love it. But too expensive for a 2nd body. No point selling my D600 for one as I already have a grip for tele work and wouldn’t gain anything but hipness. It is very pretty though (in black). Nice work Nikon. You sentence here says it all…let me quote: “Colour me unimpressed. If I want a classic Nikon I will by a classic Nikon. If I want a digital Nikon I will buy a Digital Nikon. I am not looking for an overpriced ‘fusion’ camera. I am not gonna pay $2500 for this. For that I can get a way better DSLR imo. Well, Digital Leica is selling at an insane price too? In digital age, it is real stupid to charge (or pay) that much for a camera that after few years, the sensor is outdated (not to mention those dedicated battery will be hard-to-find down the road). Other than that, will be interesting to see how the camera sells. 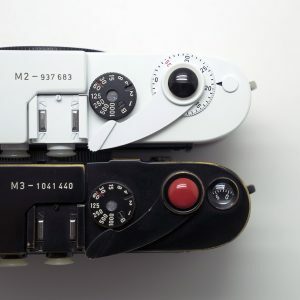 Yes, but Leica did not cramm all the extra buttons on the top… Yes, they made it “fatter”, and that’s it. As for “longevity, digital Leicas “last longer” by default… Just ask anybody who uses them (like me) for shooting, not collecting. What i’d really like to see is a digital contax g2, albeit the fujis come close. But as I said in the beginning, digital and film stuff should stay disconnected from another. Fuji and olympus have done a good job combining retro good looks with FUNCTIONAL and AFFORDABLE cameras, don’t see why Nikon needs to be the next leica. With all the hype, I wanted to like it. I hoped and prayed for Nikon to offer me what Pentax (nor any other manufacturer) hasn’t. I thought they might have enough irons in the fire to take the risk on a really interesting idea that could potentially fail miserably. Unfortunately, they made what amounts to the same old stuff in a hipster shaped box. Hardly something worth the “Pure Photography” tag line. Don’t get me wrong, I’m sure this is a great full-frame digital SLR and I’m sure they will sell a ton of them; it’s just not the “pure” experience they were selling. So, I guess that leaves me the same place I have been–waiting for someone to make that full-frame, fully-manual SLR (a real digital version of the Pentax MX, not the digital compact Pentax called a digital MX). All I want is someone to replace the film portion of an MX (or equivalent) with a digital sensor. No extra buttons, superfluous dials, or auto modes; just a camera with 3 settings and a basic meter. I say take the screen away too. Why is it so difficult for these company executives to understand that a SIMPLE, well built full frame camera will outsell this oversized, overpriced disposable junk? The only answer that I can come up with is that these camera companies don’t want to manufacture cameras any more, but rather consumer electronics. That’s why I will keep shooting with my old Leica M6. It’s interesting, though I think you are right on with the idea of Nikon playing it safe. Perhaps a rear command dial was unavoidable, though the front sideways command dial shouts compromise. 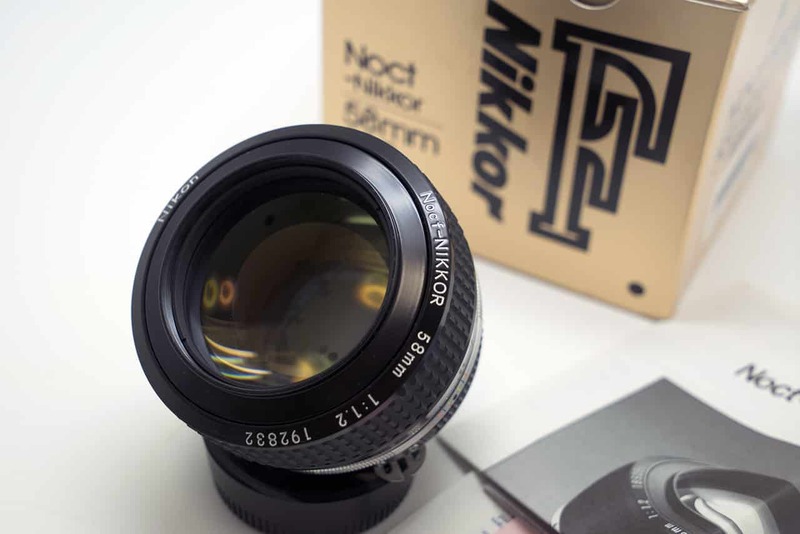 There may be some buyers who want the look, but then will keep it on Program mode and use only modern AFS lenses. I’m not sure if Nikon understands their target for this, though it seems they don’t have the same direction as Fuji is taking with the X series. Of course we could be wrong and this sells a ton of cameras. I sat here with an F4S and a D3 near the computer, then looked at the images of the Df. While the F4S can appear to be a confusing mass of knobs everywhere, the Df matches it on apparent complexity. So much to consider, but then I thought about how fun it may be to print a picture of the back of a Df and paste it onto my FE or FM, and fake having the latest in digital, just so I don’t have to answer questions about how film is still available. Larger prism and the manual buttons, nice. Then you flip it to the back and its still just a digital camera. Which tells me it still shoots the same as a digital camera. Will this stop it selling? I don’t think so. And will I be getting one? Maybe in a couple of years when the price comes down, or pick up one on the second hand market. I just wish they had used the body molds for the FM2, dropped the buttons and screen from the back. To make it a true “retro” camera. What would all the chimpers do then??? It is ugly. And the size of it is almost similar to a DSLR, so what’s the point? They just change the dress for a FF camera into a pseudo-retro dress and that’s it. Talk about the hype of it. I’d rather go for the Sony A7 or A7r, which is cheaper and more compact if I ever want a FF camera. Better still, get a film camera which negates all white balance issue and gives you a true retro experience! Nikon have produced a full frame DSLR with knobs because nostalgia sells. Retro styling has somehow come to represent authenticity. There are echos of the F3 in the way the shoulders are styled at the front and the prism housing looks like an F3 Press. But I bet it doesn’t feel like an F3 when you pick it up. When you pick up a D800 or a D3 there is a chunkiness and business-like quality that feels authentically Nikon. At their best, Nikon are famous for being innovative – each new camera pushes things on a little further – a lot further sometimes. Sometimes warmed up left-overs are good but this isn’t doing it for me. It has its attractive features. Support for non-AI lenses, for instance. A decent and bright finder with 100% coverage. As for the rest, I am ambivalent. I completely agree about the back – it looks ghastly, and gives me the impression that the “pure” part of the camera is just a facade. Or maybe the camera was designed by a committee. The dials – nice. Nikon, you’re onto something, but please – make it right next time. I have read all the other comments on the new Nikon Df and one thing that always amazes me in forums similar to this is how everyone posts their expectations but then change their tune once the camera of their (near) expectations finally arrives! However much one holds a candle to Nikon, however long one has been a Nikon user and however much one has invested in Nikon equipment, the bottom line is that Nikon does not really have to owe us photographers anything, although clearly the company does feel a certain corporate responsibility. Nikon first and foremost owes its shareholders the duty to maximise profits. Without these vital profits we, the end users, would have far less choice of by and large excellent equipment. That the equipment may not always fit in with our preferred budget range or ideal specifications is unfortunate, but there are I would imagine, no equally technically complicated products in the world that can have universal appeal and approbation – that’s an impossible dream. Personally I love the way that the Nikon Df has blended the best internals of the D4 with a light(ish) body with proper click-stop dials that allow me to instantly see what my settings are and, hopefully, to make it harder to inadvertently change settings during a hectic shooting session. That the body also allows me to use all my wide range of NIKKOR lenses, many of them relatively specialist ones, that stretch back to 1959 is a real bonus. I suspect that for many ‘legacy’ Nikon SLR owners who have not yet made the leap into digital or have only invested in CoolPix-type cameras, this will be the key camera to transport them into a fulfilling digital age. I could be mistaken, but I don’t believe that there is a one single other camera manufacturer that has a current digital body capable of mounting (with no doubt a few restrictions) 64 year old lenses and using full aperture metering. The Nikon Df gets my vote, whilst my weary shoulders also applaud its release! That you can comfortably buy two of them for less than the price of a Nikon D4 is also a huge bonus. Very well said Peter! I totally agree with your statement. It was a given that no matter what Nikon finally unveiled it was never going to be “perfect” for “everyone”. However looking at all the traffic, comments, and attention this camera has stirred up already proves Nikon has “won”. I think it’s hilarious that people complain when a camera doesn’t have any external controls and they are forced to dig deep into menus to change settings. Then those same people complain the Df has too many external controls! I really like this camera! It is the smallest full frame DSLR to date and I can’t wait to try it out for myself! In the mean time, while the internet unleashes it’s hate on yet another inanimate object, I’ll be out shooting more film and enjoying the cameras I already have. All people say is things like: Nikon missed this, they should have that, too expensive, no video, my D600 is better and cheaper. Can’t really disagree with all the posted comments here. In saying that the last new Nikon SLR I bought was the FA in 1985. 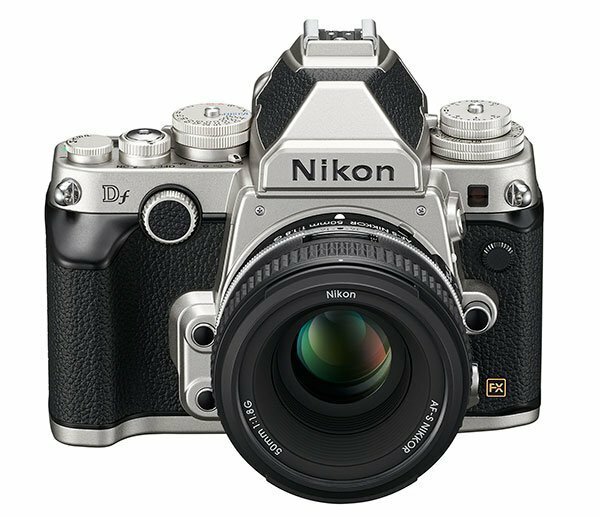 I’ve disliked the body designs from the F4 onwards and this is about the only Nikon built in 28 years I am seriously thinking of buying. I’ll overlook all the buttons on the back if focussing all my old manual Nikkor lenses is as straightforward as on their film bodies. If not I’ll pass. Completely agree with you, JCH – a d600/d800 price-tag with *less* functionalities (e.g. no video – not that I wish it had it, just to make a comparison) and the pureness of 15 or so buttons everywhere. No thanks. Its a half and half dog of a camera, they should have gone balls out and dropped loads of the buttons. Whats with that PSAM dial FFS? What is the point of this camera? Seriously. It does nothing new, that any of Nikon’s other digital cameras already do… except to maybe appeal to the niche, retro-loving market. It’s too expensive, too heavy, too fussy and is a marketing ploy to capture some of the growing ‘back-to-the-future’ section of photographers… nothing wrong in this, but Nikon missed a real opportunity to do something really different and bold. is it too hard for Nikon to come out with a real retro digital camera? one that is based say, on a F3 body? I just want a basic digital SLR, without autofocus, I still have lots of old non-autofocus Nikon glass. “Pure photography” is just to inform that there is no video recording available. for me this is almost perfect combination of my old F3 and my new D800E. I can use all my old optics, can see settings by one look on top of the camera without turning power on and have real knobs for settings like ISO. I am missing a better focusing screen, but you can never have averything (except with F2as) that you like to have. While I don’t mind the styling I think at that price point it’s a real shame they didn’t include the 51 pt AF module and dual card slots. But then again I guess they didn’t want to risk a drop in D4 sales. I was half willing to love it, half afraid of the monterous thing that’d come up. Result : disapointing monstrously expensive marketingly hype “thing” ? Seriously … 4 stages knobs … is miniaturization dead ? what are you hiding in those big knobs ? I’d love the idea of an FM2 digitalized body … the size of the original thing …. what would you need more (check the Oly OMD) ? Look inside an analog slr. There’s plenty of empty space to host electronics … more over Leica did an M9 at amlost the size of an M6. You already have the strong bodies, why not re-use them ? Nikon ? if you’re reading this, could you make it happen ? at a descent price ? Well my rock has kept me warm lol…nice write up, I missed this…and agree. nothing special. I was so looking for this camera to complement my D800. But, for this price I might as well go for another D800. And I don’t want to do that. So, I am still on one Nikon DSLR body. I want an F3 with a digital sensor where the film used to go, but I’m not going to get it. (I have a slew of MF lenses gathering dust, and I love my F3s.) So, if I can’t live without retro “hipness,” being on the cutting edge style-wise, etc., I have to buy the Df — and I would, if it were substantially cheaper: Let’s say around the cost of a 610. But at nearly 3 grand? 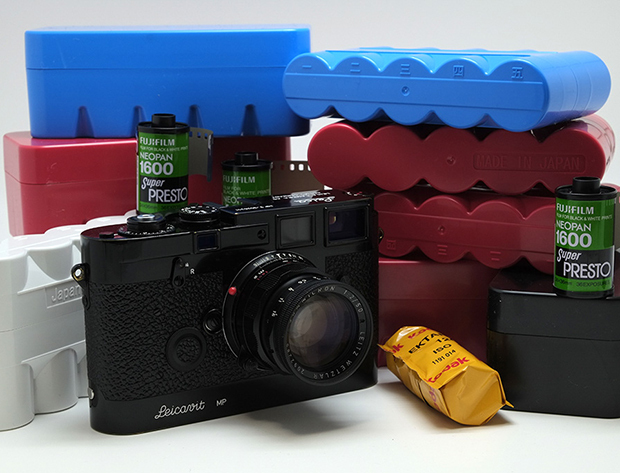 I don’t think so — that $$ will pay for a lot of film, processing and professional scanning. When the Df2 comes out and this camera is knocked down about $1,000, I’ll be more interested. totally agree with this article, by a ‘digital fusion’ and pure photography I honestly think Nikon missed the point. i was hoping for a digital camera with improved OVF for manual focusing then all the dials i would need is ISO, Shutter and Aperture. even LCD screen is optional to me. Well too expensive for me now. But a digital Leica has most what i need from a Camera. Besides “Bulb” Function. Newest M (Type 240) has 60 seconds. Older (M9, M-E) Models going to 240 seconds or. So was i told “it’s for reportages made”..
Well in my book a reportage (or a visit to a unknown city (Yup Tokio maybe. Was not there…) calls definitly for a longer night shot. Or a landscape only lighting by a full moon. Maybe i am the only one who needs this. We’ll see what this cam can do. I will not buy this typewriter! I’m no Nikon fan boy nor do I shoot digital but I think as looks goes Nikon did a good job, especially the black version. Price turns me off. 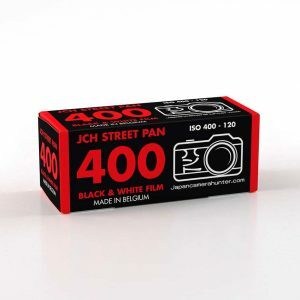 I’d rather have a Fuji X-100s. Now I’m waiting to see what Canon does, since it is now their turn. i counted over 20 buttons and nobs. WTF? I’ll pass pure photography my arse!! 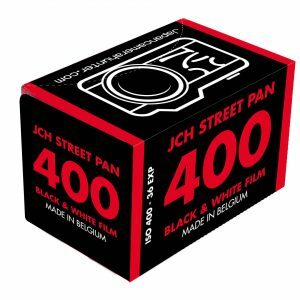 It was the same story as with the film classics: my F601, F90x, F100 or a F,F2,F3,F5,F6 and a proper nikon lens make all the same pictures when you put the same film into it. the same with digicams nowadays: they produce all the same pictures when you put the menus or knobs in the same position. It’s just a choice of ergonomics. Film will give you the magic of different look and feel. Digicams have lost that magic. So take a pick on the machine which suits you best, be it retro, newo, supercoolo, uglymonstro and make great pics, because this it where it’ all about, the pics, not the machines. Sorry Leicafinados. You know, you had a really good point, until you quashed it all with that cheap stab at Leica fans. This has nothing to do with fanboydom and everything to do with taking pictures, regardless of your equipment. 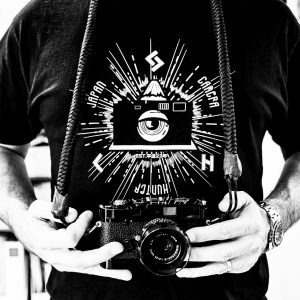 current dslr’s are the cellphones of the 90’s .. bricks .. and we are on the way to new gen sensors, mirrorless, sleek, iphone equivalents ..
the df is a rotary phone retro fashion piece, a triumph of marketing over functionality. I own two digital Nikons. One stopped working and is unrepairable (D70) and the other has operating issues such as controls that stick etc D200. I also have three Leicas and none of them, film or digital, have ever had a problem. This is the issue with a camera like this. It looks nice and would be fun for someone like me with a pile of Nikon Glass. But the days of sturdy Nikons getting hammered in the field are long gone. For me it’s a missed opportunity: I think a lot of people was ready to jump in if only this camera had been a REAL change, a REAL return to pure photography with only super-basic controls like an old-style film camera, and with a real aid (split screen, where are thou??) for focusing old lenses. As it is, it’s just a Franken-camera, more a posers-designed camera than a camera designed for people looking for a “pure photography” experience. Meh and Bleah. The price and the inability to change focusing screen to aid with old lenses is a deal breaker for me. I was hoping for a more retro look (ha!) but with more innovative use of current technology. I think what’s being lost in this conversation is the fact that we’re talking about a camera with basically the same specs as the D4 for half the cost, size, and weight. Not only that, it’s designed to accept pre-1978 non-AI Nikon lenses. It is something a bit new in full-frame body design, since everyone has basically been making some version of the Canon T90 for the last 15 years. I like it a lot, I think most of you had extremely unrealistic expectations of what this camera would be. Maybe you’re right but let’s be honest: the whole “Pure Photography” campaign was misleading and BS-ish…that said, to each his own camera and his shooting experiences. Hmmm. You could blame the advertising teasers for this one. Well, unfortunately has only the D4 sensor, not the D4 metering system, nor the AF… It is not what the D700 was with respect to the D3 (same electronic, smaller body). I shoot with a FM2N on my travels and leisure because I don’t want the weight of a F4S or F5 on a strap pulling my neck down and forwards. (And I can afford the latter 2 bodies, so it’s not speaking from envy.) As such I’m open to shooting with the Df , IMO insofar as I’ve yet to handle it, a DSLR for the hobbyists and gentlemen amateurs. I also believe that inflation wise, the Df kit of 2013 costs as much as a F4 body of 1988. But looking at the technological differences spanning 25 years, I would say the Df is value for money, more so as it uses many more Nikkor lenses at 100% capability than the F4. Will I buy the Df? Yes, if I have the cash, and if it feels good in my hands. its a nonsense camera i buy top quality fm’s and fe’s for small money on ebay and with the inexpensive 50mm primes available again for small money this camera is a expensive pose only. Personally I think the DF is too big; like my D300; which is why I am moving to M4/3. I found it ugly. Nikon could do better, a lot better. Agree 100% with Bellamy (JCH) this is an ugly copy. 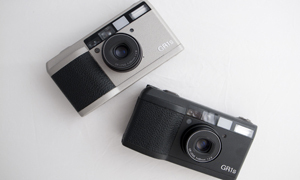 An ugly copy of a FM2 and an ugly copy of the nice job Fuji and Olympus did long time ago with a real “retro camera”. They are very far from a new project. This is the first digital Nikon camera that I have been passionate about. To really appreciate this camera one must go back to the D3 which was a ground breaking camera. It had amazing low light capability but it was too expensive for the masses. So Nikon put the sensor from the amazing D3 into a camera which was available to the majority of photographers, the best digital Nikon ever in many opinions until the D4, the D700. So here we are now and Nikon puts the same sensor from the D4 in its new Df. This camera should be a fantastic travel and event shooter. Yes, it is expensive but in my opinion totally justified with what you are getting. Think this camera will be one which I will want with me most of the time. Thank you Nikon for giving us such unique products such as the Fm3a, F6 and now the Df. Nikon decided to compete against the digital camera market. What they should have done is changed the paradigm. They should model the luxury watch market. Create fully mechanical bodies. Charge a premium. Charge for a standardized insert that slips into the body and provides digital capabilities. The customer than replaces the insert over time. I am not talking about going back to film or to fully manual lenses. I am talking about a true hybrid. In ten years from now even the simplest of cameras will take great pictures. 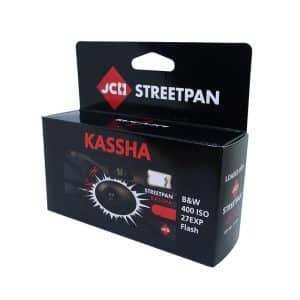 The question is, how does a camera manufacturer separate itself from the pack? On a purely aesthetic design standpoint, it’s hideous in my opinion. The proportions, the clusterf**k of buttons and dials, and the access markings of these functions. The balance of it all is unattractive towards my preference. While function plays an equal amount of importance in purchase deliberations, I think the feel of the camera, the way it looks and the way those looks make you feel towards taking pictures can play an important role as well in the entire photography experience. Sometimes, design and feel can make you feel excited about using your gear and enhance the whole experience. I think camera makers should redefine and segregate their goals more clearly. Keep it modern and ergonomic if modern functions and usability is of priority. Canon does this better with their 5D3 and 1Dx. Buttons and dials are where they need to be for easier usability and their lines are cleaner and more aesthetically pleasing. If nostalgia is the end goal, then keep the old, classic designs the way they were meant to be. Simple. Classic. 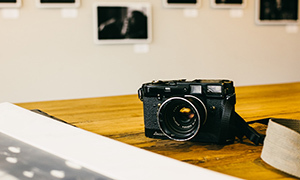 Have less functions and keep the aesthetic simplicity of classic SLRs/RFs with the more important functions of digital photography for conveniences in shooting at this day and age. Case in point; the Fuji X100. That was well executed and targeted and it was largely popular when it came out. Sure, it has its limitations but the balance of design and function was just right in my opinion. If functionality and specs of this DF were anything to shout about, I think there are similar and better cameras out there that does the same job. Clearly the selling point and intention of this camera was supposed to be the “Retro” look that was infused with modern functions but it fails on design as far as I’m concerned. I’d stick with my M3, SP or Fuji X100 on any day. Have a pleasant day everyone. A camera that really sums up why I stopped using Nikon some years ago. Far too fussy and bulky; all those modes and knobs and buttons. I’ll stick with my genuinely pure(ish) photography XE-1(just to be clear, if I could have made a strong enough business case it would read “I’ll stick with my M.”) and my genuinely pure photography MPP for work and mix of vintage kit for fun. You’ve called this one right Bellamy. Honestly, if it didn’t have that gross grip on the side of the camera it would improve the looks in my opinion. I think people should look past the whole vintage thing and see what the camera really is. A D4 crammed into a smaller body, obviously taking away a few features etc. but non the less is a scaled down D4. I think this camera fits perfectly into the market. You don’t want the pixels of the D800, but you can’t afford the D4. Solution? DF. Im sure a lot of people wont agree but i personally feel this is right. Agree completely with article. This is not pure photography. This is retro digital camera like olympus OMD or fujifilm x100s or leica M.
Ok,so in a DF you have a D4 without all the stuff that most don’t need in the D4, you have incredible low light performance, it is small aand less noticable than the 800 or D4 so it is a better street camera. What’s the beef? Can someone please build a “retro”-styled camera without pointless shiny-dials-on-top? How about a shiny metal mode dial? The review makes some valid points on the retro hype (the fusion of old and new doesn’t make the Df a straightforward FM/FE-type camera that many of us hoped it would be), but it purely dismisses the fact that the Df does indeed cater to specific needs for some shooters. In my case, I mostly shoot ethnographic stuff as an anthropologist – a mix between landscapes, portrait and rituals in low-lit places. I started with the Nikon FM2 some 25 years ago until 2008 when high ISO film became increasingly impossible to find throughout Southeast Asia. This led me to the D700. This was a liberation on many sides: the superb focus system, robustness (think of tropical jungle humidity) and after all, the D3 sensor in it. The D700 enabled me to shoot at ISO levels I previously could only imagine. It had one problem: the high ISO banding issues that starts to show from around ISO 2000 in dark scenes with strong light sources (e.g. candles, gas lights, etc). Nonetheless, it opened huge possibilities. I managed to try out both the D610 and the Df on a recent trip. The built of the Df definitely instills more confidence over the plasticky D610 (though not the D700) for shooting under light rain, a daily feature in tropical jungles. It is comfortably light to carry all day (even the D700 becomes a heavy drag to carry after a 4-hour walk), although the retro-styled grip is definitely a bad decision on part of Nikon. For my needs, the Df would be the (not fully realised) successor to my D700. I don’t do video and don’t need insanely high-action frame rates. I print not larger than A3 (and heck, even 6mp images do that fine). But a D4 sensor in a light body at less than half the price of a D4, despite the unnecessarily retro-stylings and dropped performance features, is not what I would call a overhyped cash-in. After two weeks of using it for personal and professional use, I’ve contacted number of colleagues in various states who are shooting with D800. Not to knock down D800, but comparing notes on images quality (and Image quality alone) with variety of lenses and situations, Df offers better image. Bitter Sweet Symphony, #1 I wanted D800 for its superior image quality to d700 and its video capabilities #2 I was willing to put spend the $ on it/and or exchanging Df for it + $. Df is NOT D4 and shouldn’t be compared to it other then image quality alone. I do think that it is overpriced and ought to be priced closer to D600, however, for someone who is interested in the D4 generation image quality and ONLY still images. I think Df is the best PHOTO (only) camera under $3k that Nikon ever put out. Yes your are right..Nikon DF is not pure photography…I better use my FM2, load it with film! I love mine! For the first time in many years I can make adjustments instantly and without referring to the operator’s manual. I am a geezer, with MANY years using Nikon Ftn – F5s. Its a bit funny looking, with proportions all wrong for a classic film SLR. Its expensive, feels plasticky and doesn’t have a proper K screen or the ability to fit one. The dials all have annoying locks on them and the back is just like any digital SLR. The front dial is silly. That said, I love mine. The D4 sensor and processor do amazing things, and those large pixels love older lenses with their lack of ultimate sharpness and abundance of character. Even my Leica M Monochrom is feeling neglected since I bought the Df. I’ve had a Df since Feb 14 (my wife bought it for me as a thank you for coming home present) after I returned from my last deployment to Afghanistan. I’ve used it pretty solidly here in Japan since then and I have to say that I love it. Initially it was a little annoying (and slow) to use but I quickly learnt how to adjust the settings without even looking at the dials and came to really appreciate the Df for what it does. It takes beautiful images, has better IQ than nearly any other camera out there at night thanks to its sensor performance at higher ISO and let’s you experiment and push the limits a little more because I t makes you slow down your process to become more deliberate, giving you time to think about how can I make this different. It does have little quirks and oversights that makes you think “why, just why did you do this or that Nikon?”, like no auto position on the ISO dial, only one card slot and no ability to add a fully functioning battery extension. At the same time though, I can use just about any older Nikon lens on it, the AF is responsive and the D4 sensor is phenomenal and I can use it anywhere with next to no-one giving me a second glance (particularly if I’m using my 50mm Zeiss which suits it perfectly). All in all, it’s like driving a classic Aston Martin compared to driving a brand new Monaro or Ford GT.. Sure the new Monaro and GT goes faster, has GPS, inbuilt video and even cup holder but the Aston provides a very different experience. The Df may not be for everyone and it’s not a camera for daily high shutter count use by professionals, but I can’t help but love using it more than any other camera I own (and I have quite a few). I bought a DF a few days ago after I did some extensive testing with it. The specs of DF viewfinder and focusing screen is nothing to write home about. However, when I spent hours testing different models, the DF was the only camera that allowed me to have consistently accurate manual focus. Thus all my AI/S lenses have found a new home where I can realize their potential without resorting to liveview focusing. Now I’m coming from a Nikon F4 with a P type focusing screen and have used manual focus on mid-format film. The focusing experience is different but it works with fast primes. I don’t know what black magic Nikon did there but it works. I feel that using a quality third party option with a split prism could improve focusing further in some situations. I didn’t buy one as I doubt how much it would help me. It has to fit perfectly to be of any use otherwise the screen would just deceive me. Nevertheless DF offers best in class manual focusing for DSLR. Don’t be fooled bu its specs, just try it. Icing on the cake is that fact that the 16 megapixels of the D4 sensor behave brilliantly with all the old prime lenses. After 6 years of being releced the Nikon Df.¿ what could be the current opinion of the author of this article? No idea. I haven’t even looked at the new cameras from Nikon. Sorry.